Jordan Davis is Dead. But not murdered? This innocent country set you down in a ghetto in which, in fact, it intended that you should perish. Let me spell out precisely what I mean by that for the heart of the matter is here and the crux of my dispute with my country. You were born where you were born and faced the future that you faced because you were black and for no other reason. The limits to your ambition were thus expected to be settled. You were born into a society which spelled out with brutal clarity and in as many ways as possible that you were a worthless human being. You were not expected to aspire to excellence. You were expected to make peace with mediocrity. Wherever you have turned, James, in your short time on this earth, you have been told where you could go and what you could do and how you could do it, where you could live and whom you could marry. Please try to be clear, dear James, through the storm which rages about your youthful head today, about the reality which lies behind the words “acceptance” and “integration.” There is no reason for you to try to become like white men and there is no basis whatever for their impertinent assumption that they must accept you. The really terrible thing, old buddy, is that you must accept them, and I mean that very seriously. You must accept them and accept them with love, for these innocent people have no other hope. They are in effect still trapped in a history which they do not understand and until they understand it, they cannot be released from it. They have had to believe for many years, and for innumerable reasons, that black men are inferior to white men. Many of them indeed know better, but as you will discover, people find it very difficult to act on what they know. To act is to be committed and to be committed is to be in danger. In this case the danger in the minds and hearts of most white Americans is the loss of their identity. Try to imagine how you would feel if you woke up one morning to find the sun shivering and all the stars aflame. You would be frightened because it is out of the order of nature. Any upheaval in the universe is terrifying because it so profoundly attacks one’s sense of one’s own reality. Well, the black man has functioned in the white man’s world as a fixed star, as an immovable pillar, and as he moves out of his place, heaven and earth are shaken to their foundations. 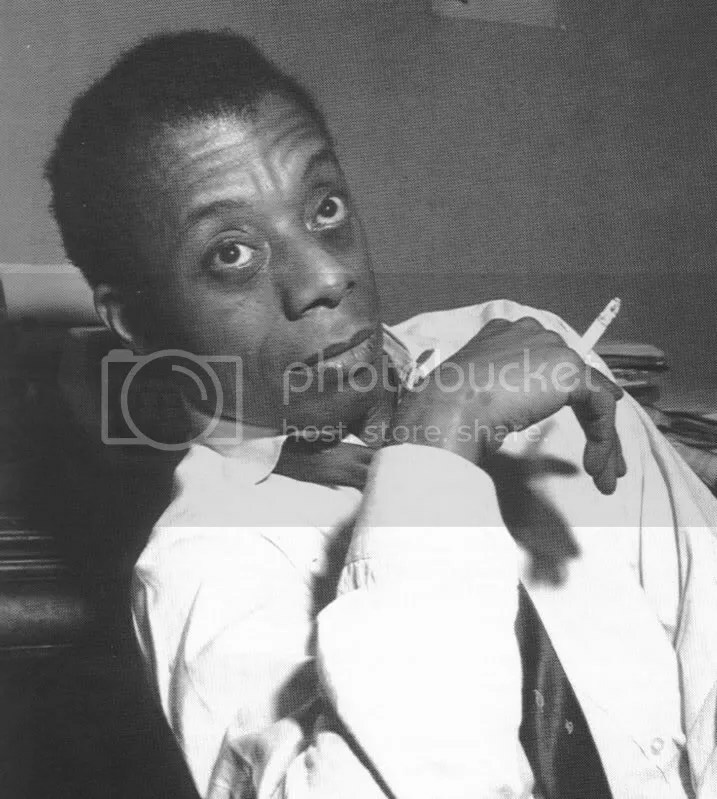 James Baldwin. Right then. Still right now. ← To Blog or Get A Dog? Ta-Neshi Coates is, I think, the most perceptive social observer writing today. And his cordiality to his commenters is amazing. It’s a minor miracle that the Atlantic continues to give him a platform, says the cynic in me. Thanks for the link, Chris. I’ll check it out. I agree with you about Mr. Coates. I used to read him waaaaay back in the day when he wrote for The Village Voice and he has done nothing but continue to improve as a essayist. You can draw a straight line from a James Baldwin to a Ta-Neshi Coates and I’m sure Coates would take that as a compliment. For the failure to murder the remaining three, he will serve time. How bizarre is it to know if you kill someone you can be found not guilty of murder, but if you try to kill three others and fail, you’re can be found guilty. Of what? Being a bad shot? I wish I could remember what I was watching Jeff. It has been a bad week on a personal level and I was a bit dazed, but that comment caught me and I thought; ‘yes, that is exactly it. If I can find the clip I will add post it to you. It was the exact right truth. This verdict is shameful. I sat with my sisters in our hotel room as we saw the news and were shocked. How could this happen again? I have no words but hope the Justice Department will intervene. Boycotting Florida. I wasn’t shocked by the verdict. Not at all. My expectations for justice in America start small and stay limited. Until we as a society place a greater value on Life and not Fear, we will see this story play out time and again. And when I say “value Life’ that includes the Black community valuing the lives of each other instead of waiting for a White man with a gun to kill a Black person before we respond. Every life has value and every murder is senseless and preventable.